•	Marketers are now prepared to pay Snapchat stars as much as £53,000 per Snap. •	Despite the amount of money being shelled out 86% of marketers admit they aren’t entirely sure how influencer fees are calculated and 38% cannot tell whether a particular campaign drives sales. However this does not mean a slowing down in influencer spending anytime soon: 75% of respondents anticipate their spending on such influencer campaigns to rise over the next year and over a third (35%) expect it will increase by more than 50%. The findings unveil the unprecedented value premium brand marketers now associate with celebrity influencers who carry over one million followers. In the case of premium fashion marketers, the payable fee per post rises to over £160,000, highlighting the perceived importance of social media by professionals working for high-end retailers. 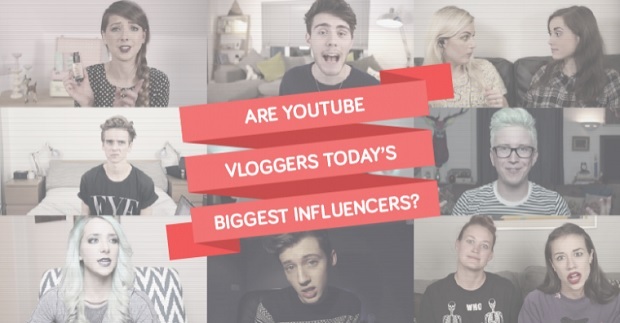 Post for post, marketers are prepared to pay celebrity influencers on Facebook more than their renowned YouTube peers by 12% on average, offering YouTubers £67,000 per video that mentions their brand. While ranked fifth among the major social platforms including Twitter and Instagram, marketers are now prepared to pay Snapchat stars as much as £53,000 per Snap. In contrast to the staggering fees celebrity influencers are able to charge, 86% of marketers admit they aren’t entirely sure how influencer fees are calculated and 38% cannot tell whether a particular campaign drives sales. Despite this, three-quarters (75%) of respondents anticipate their spending on such influencer campaigns to rise over the next year and over a third (35%) expect it will increase by more than 50%. For micro-influencers with up to 10,000 followers, the average upper limit marketers are prepared to pay is £1,500 on Facebook. The overall highest paid are YouTubers, where technology marketers will pay up to and above £3,000 for a positive review, unboxing video or demo. Measuring success based on follower numbers may well explain drastic differences in what marketers are willing to pay micro-influencers. Over half of marketers (54%) demonstrate the impact of influencer marketing by tracking brand reach; the number of followers and engagements (shares, likes etc.) Only 20% of marketers claim they are able to demonstrate the impact of influencers through indirectly influenced sales. While 59% of marketers state the influencers they work with will take guidance from them around best practice, 56% of premium fashion marketers admit to a situation in which influencers hold all of the power. For example, only 20% of marketers state influencers are prepared to follow their lead when it comes to guidance around billing. Less than a third (29%) believe that the influencers they work with are entirely concerned whether their content drives sales for the brand. Interestingly, when asked what would encourage marketers to invest more in an influencer programme, greater transparency and better reporting of influencer contribution to sales now rank as the highest factor (50%). Of those who are using attributed reporting, 21% admit to using last click, with a further 24% relying purely on first click. The most popular model for influencer marketing is linear, or equal credit (26%), whereby all touchpoints are rewarded the same each time. More advanced systems are scarce, only 11% of marketers have adopted the time decay model which uses the touchpoint closest to sale and the same proportion now use position-based models, whereby 40% of the credit is assigned to first and last interactions. Rakuten Marketing conducted research with Morar Research in July 2017 among 200 marketers across the UK working directly on influencer programmes. The research categorised respondents by industry including Premium Fashion, Mainstream Fashion, Premium Beauty, Mainstream Beauty, Homewares, Other Retail, Electronics, Travel, FMCG.